These pork chops are the perfect balance of sweet and tangy! In a small mixing bowl, whisk together the crushed pineapple and BBQ sauce. Place pork chops into a baking dish and season with salt and pepper. 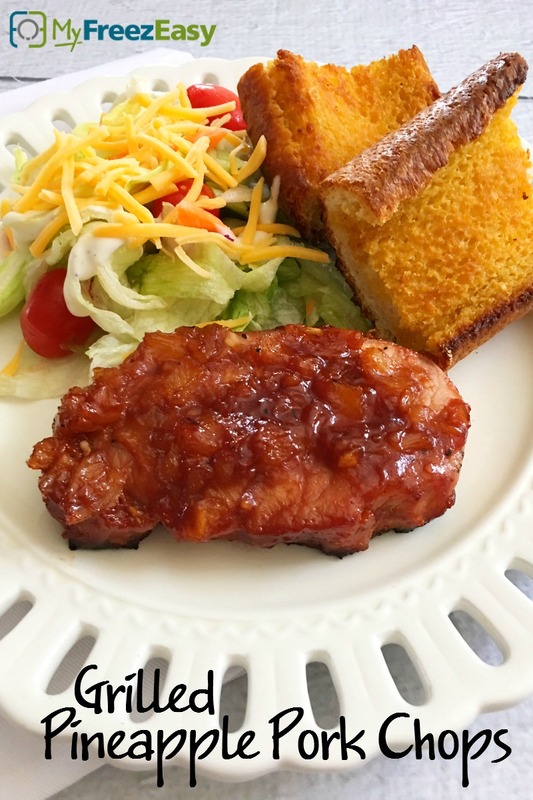 Brush the pineapple BBQ sauce onto both sides of the pork chops. 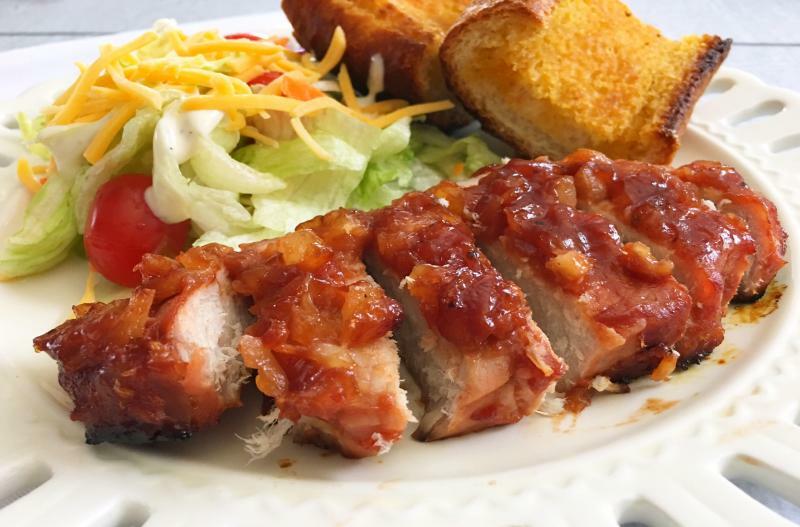 Grill for 5 to 6 minutes per side, over direct heat, or until cooked to 145 F. Brush any remaining pineapple-BBQ sauce onto the pork chops on the grill and cook through. Cooking time may vary depending on thickness of the chops. Let rest 5 minutes before serving and slicing. Grill some garlic bread alongside the pork chops. Serve Grilled Pineapple Pork Chops with salad and grilled garlic bread. Open and drain 2 - 8 oz. cans of crushed pineapple. Recipe is gluten-free when served with gluten-free sides like rice or potato chips. Serve with salad and grilled garlic bread.